Muay Thai promotion “All Star Fight” was expected to visit Phuket for the second time this year on Sunday March 31. However the event scheduled on a rainforested, mountainous island in the Andaman Sea has been postponed, as understood, due to Thai House of Representatives election, 2019. “Break news [!] Allstar fight will Be postpone to another date of this year due thailand election [sic],” the promotion announced via the post on Facebook. The previous show in Phuket was held late January. The seventh edition saw Muay Thai star Buakaw Banchamek scoring the second-round knockout win against Niclas Larsen. The most recent All Star Fight event, billed as “World Soldier”, took place in Bangkok. “The White Lotus” battled it out against Artem Pashporin, and after three rounds of action earned a unanimous decision. A new date for the show in Phuket is yet to be known. 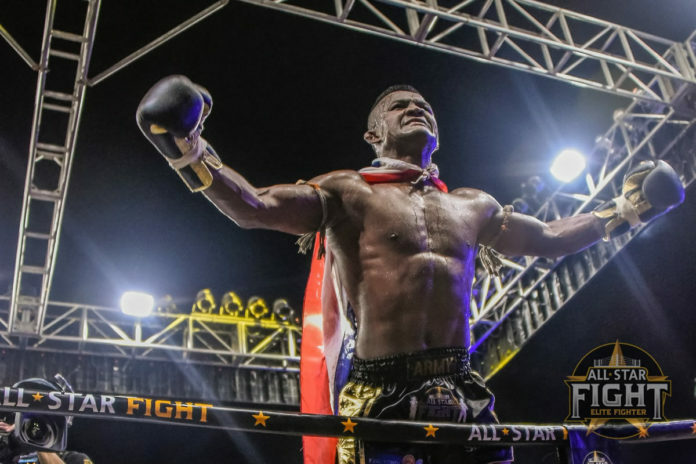 Nevertheless the two-time K-1 World Max champion Buakaw Banchamek has at least one more fight booked for the rest of 2019. The famed Muay Thai fighter faces Chinese Yi Long in the nine-minute knockout decider this October in Hong Kong.